You can select purchase category for x3 and x2 rewards points. Good promotions and services are available. Max APR is high. You should think twice if you don't have excellent credit history. 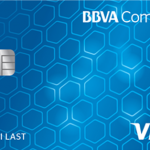 You can find detailed information on BBVA Compass Clear Points credit card below with our review. You can also leave a review at the bottom of the page and tell your thoughts and experiences about the card. BBVA Compass Clear Points is a no interest credit card which will also give you various rewards. You can pick the purchase category for your x2 and x3 rewards. Besides you will able to earn x1 rewards for rest of your purchases. 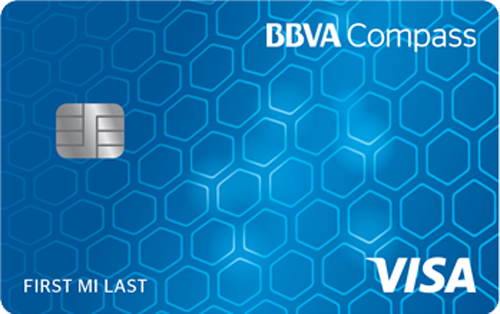 You can learn more about those rewards from the card page of BBVA Compass. There are ten categories that you can pick for purchases. These are general categories that you can pick and this option can be quite profitable for you. You need to select a category for the each quarter of the year. If you don’t select reward categories, you are going to earn 1x for your purchases. So don’t miss the opportunity. There is no bonus for BBVA Compass Clear Points. Minimum APR for the card is 13.24%. This is a good rate for those who have excellent credit score. However maximum APR of the card is too high. It is 31.24%. No APR for 13 months is a good opportunity for people. Cash Advance fees are also high with 24.24% – 31.24% rates at the moment. It seems you need really a good credit history for a better APR. If your Purchase and Transfer APR is higher than 20, this card can be a serious problem for you about 13 months later. There is no annual fee of the card and this is making this card valuable. We believe that rewards card with no annual fees are one of the best opportunities for consumers. If you are purchasing from foreign shops/online stores, there is a downside of this card for you. You will need to make 3% more payment on foreign transactions. If you don’t have purchases from abroad very often, you can ignore this fee. Cash Advance fee and balance transfer fee for the card is 4% and this is average. However minimum payment fee is $10 and this is too much for the card. This is short-term good card if you get high interest card. However if you manage to get low APR which is lower than 18% and if you pick correct categories for rewards this card can be very profitable for you in long-term. Why general score is lower than rewards score? Thank you for the question. In the general score, our editors are giving points to every features of the card. However when we do it for rewards score, we just focus on freebies which credit card provides for customers. For example, foreign transaction fee doesn’t effect to rewards points much. However every facts in the card can effect to general score. Selecting rewards category is good. Gave me advantages and earned rewards as much as I can. I am looking for a better one though.